Firework sales down 26%, burglarized stand exceeds expectations | Audio and video stories from Southwest Washington. On average, firework sales dropped 26 percent this year in the City of Vancouver, compared to 2013. COUV.com surveyed 22 firework stands, then compared their gross sales after the new firework ordinance was implemented, which limited sales from seven days to just 3. 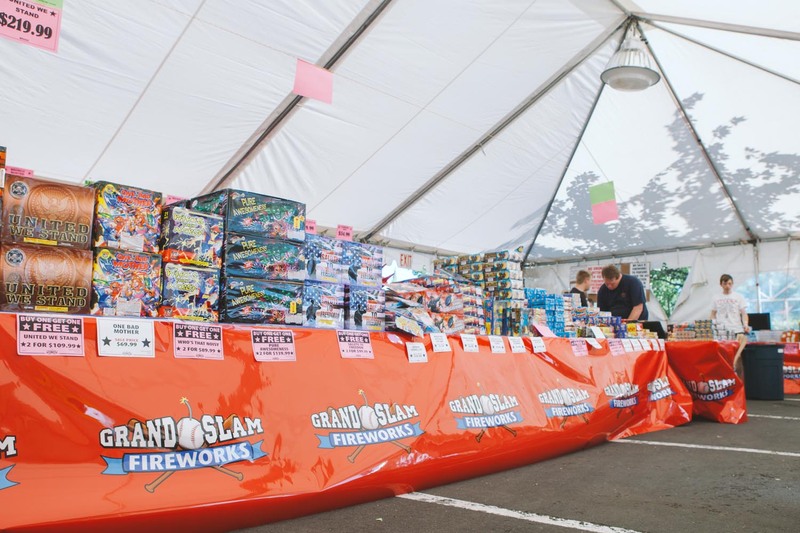 One firework stand’s owner attributed this decrease in sales to the new city ordinance, saying that 2014 should have had better results because of a stronger economy and the July 4th holiday landing on a three-day weekend. In King County, 22 cities have banned fireworks completely, while the remaining 14 cities have similar restrictions as Vancouver. Before officially opening her stand, we talked with June Griffin, who runs the Union High School Band firework stand. “My concerns this year is the less amount of time we have to sell the fireworks. Now I have half the amount of time for these students to earn money.” Said Griffin. That night after our interview, things changed drastically for the Union High School Band Booster club. In the middle of the night, thieves stole $3,800 worth of mortars from Griffin’s stand by cutting out a window and grabbing what they could. After news spread around town about the theft, the community poured out support for the booster club with donations and purchases.